You’ve got all that media – photos, videos, recorded TV, music and more – scattered across your network, and now there’s a load of online media to tap into as well. How can you possibly keep on top of it all while making it possible to access your media while away from home on your portable device? Plex is one possible solution. 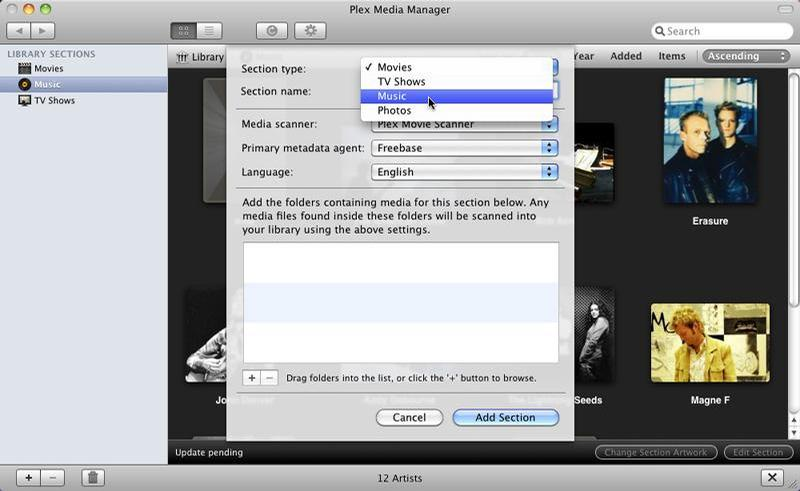 It allows you to share the media content – photos, music, video and recorded TV – from selected folders on the host computer as well as any network shares, but that’s not all. Plex also lets you tap into online content too, allowing your clients to access internet-hosted media like YouTube, NetFlix and more through the same interface. These are served via the use of special Plex PMS Plug-ins, some of which are included with the main download, while others are available for separate download and install. Plex comes in two parts: this is the Media Server, which you need to install on the PC or Mac that’s hosting all the media content you wish to share. Note, previous Mac builds combined both media server and client in a single application – this is no longer the case from 0.9.5 onwards. Setup is relatively simple, but easier on the Mac than Windows – visit the wiki for full instructions (click the ‘Laika’ link). Your library can be organised according to four types of content: TV shows, movies, pictures and music. Select which folders – network shares as well as folders – to make accessible, and they’ll be made available to your clients, complete with metadata that helps identify the content being played, including artist bios for music and movie descriptions for video. Then all you need to do is install the client software and your library will be available for streaming on that Mac, PC or portable device. Get the Plex Media Center client for Windows and Mac, or Plex for Android and iOS mobile devices.